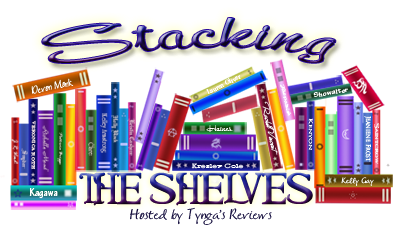 This is a Stacking the Shelves post in which you can share details of the books you’ve added to your shelves, be it buying or borrowing. In a week that began painfully with a dentist appointment where I had to suffer water torture during my visit to the hygienist, when the weather was mostly grey and miserable and when the national and international news continued to be bad, I was cheered up by bartering, borrowing and buying books. Last Tuesday I had another visit to Barter Books in Alnwick. I always enjoy going there and never fail to find books I want to read. One of the joys of going is that you never know what you’re going to find. I like to browse the shelves, looking for books by authors I haven’t read before as well as by my favourite authors. On Tuesday I’d gone prepared with my list of books to check out, including some of Agatha Christie’s short story collections. It’s either feast or famine at Barter Books for Christie’s books and this time there was only one book of hers, which I’ve already read. So I decided to browse and picked up a book, which caught my eye from one of the displays at the end of a bookcase and began reading it, sitting down at one of the tables with my cup of coffee. It’s by James Naughtie, a broadcaster who used to be one of the main presenters of Radio 4’s Today programme, so not entirely unknown to me but I haven’t read any of his books before. The Madness of July is his first novel. I read a few pages whilst I sat there, finishing my coffee, and realised that although it’s not the usual sort of book I like – it’s a political/spy thriller – I was enjoying what I read and wanted to read more. So into my basket it went. Then I went to see if any of the books on my list were on the shelves. I found two – A Place of Execution by Val McDermid and An Officer and a Gentleman by Robert Harris, both books I’d read about on other book blogs – Val McDermid’s book on Kay’s A Reading Life and the Harris book on Roberta’s Books to the Ceiling. I’ve been meaning to read McDermid’s books for a while now and when I read the opening paragraphs and blurb of A Place of Execution on Kay’s blog, I thought it sounded a book I would like, crime fiction set in the Peak District in the early 1960s about the disappearance of children – a taut psychological suspense thriller. I seem to be on a roll with Robert Harris’s books, having recently read the last two of his Cicero trilogy. An Officer and a Spy tells the story of the Dreyfus Affair, at the end of the 19th and beginning of the 20th centuries. Alfred Dreyfus, a French military officer convicted of spying for the Germans, was sentenced to to life imprisonment at Devil’s Island. I continued browsing, wandering round the book cases in the different rooms and finally settled on two more crime fiction books – a W J Burley book, Wycliffe and the Quiet Virgin, set in Penzance, in which a young girl goes missing after playing the part of the Virgin Mary in the local nativity play; and The Girl in the Cellar by Patricia Wentworth, in which Miss Silver helps Anne, who has lost her memory, but who thinks she has witnessed a murder. I went to the library yesterday morning to pick up a book I’d reserved, Slade House by David Mitchell, a much shorter book than Cloud Atlas, which I eventually enjoyed very much. This one is a scary collection of novellas about Slade House between the years 1979 to 2015 in which something nasty happens every nine years at the end of October. And then because you can’t leave the library without at least a quick look at the shelves I also borrowed Watson’s Choice by Gladys Mitchell, which I gathered from the title and the pipe and deerstalker on the cover has some connection with Sherlock Holmes. And it does because at a party given to celebrate Homes’ anniversary the Hound of the Baskervilles turns up along with the other (invited) guests. What a coincidence that both these books are by authors named Mitchell! Gladys Mitchell (21 April 1901 ‘“ 27 July 1983) was an English author best known for her creation of Mrs. Bradley, the heroine of 66 detective novels. And David Mitchell, the author is not to be confused with David Mitchell, the comedian. Earlier in the week I bought the e-book of The Queen’s Man by Sharon Penman, when it was on offer as one of the Kindle Daily Deals. It’s set in 1193 when rumours abounded that Richard the Lionheart was dead. And this morning I chose Winter Men by Jesper Bugge Kold as my Kindle First book for February, about two brothers who were both coerced into serving in the SS and their guilt after Germany’s defeat. Then yesterday afternoon when I was at the village hall playing carpet bowls (there’s a bookcase of secondhand books in the hall) I bought Impressionist Gardens by Judith Bumpus, a beautiful book of Impressionist paintings, from artists including Monet, Renoir, Pissaro and Sisley. I’m hoping this will inspire my efforts at painting. I hope some books have come your way too this week! Well you have some serious reading ahead of you. But, after a dentist appointment well deserved treats. Sorry it’s been a bad week, but at least you’ve got lots of great books there to cheer yourself up! An Officer and a Spy is an excellent book and I enjoyed it as much as the Cicero ones. Hope you enjoy your books. So many look wonderful. I’m still not ready to read the McDermid book. I’ve really gotten sidetracked with the graphic novels. I’ll get to it though, but you’ll likely be finished before me. That’s usually the way – I say I’m definitely going to read this or that and then I get distracted. Sorry about your dental appointment. I had one this week too. No follow-up at this time – just teeth cleaning – but one never knows. Wow, you got some wonderful sounding books! I think I would most like to read The Madness of July, but living in the U.S., I don’t know if it would be available. Have a lovely week. Sorry to hear about your dentist experience, Margaret. Never fun, is it? But you’ve got some terrific books there, and it sounds as though you enjoyed getting them, too. I look forward to your reviews as you get to them. What a great load of books you got. I haven’t been down to Barter Books for ages, I hope they still have the train running around the top of the walls. I have Watson’s Choice in a TBR pile and I enjoyed The Girl in the Cellar a while ago. Definitely planning to read something by Mary Beard, might even break my self-imposed book buying ban of a couple of months and get her Pompeii book. The Impressionist’s Garden book looks gorgeous.